A Unicode-based attack known as a homograph attack can falsify a domain name—all the way down to secure HTTPS. Since it can so convincingly mimic a legitimate domain, it isn’t just the average user at risk but also seasoned IT pros. Has Your Website Switched to HTTPS? 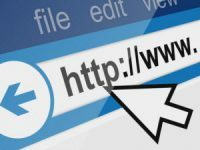 By Andy Wolber Many websites are making the switch from HTTP to HTTPS connections in an effort to make connections more secure. The Google Chrome browser will soon start to flag more and more pages as insecure, so it’s time for your company to look into this switch if it hasn’t already.